Hello again! Can you believe it's already April? That means it's time for another Five Fat Quarter Fun project! 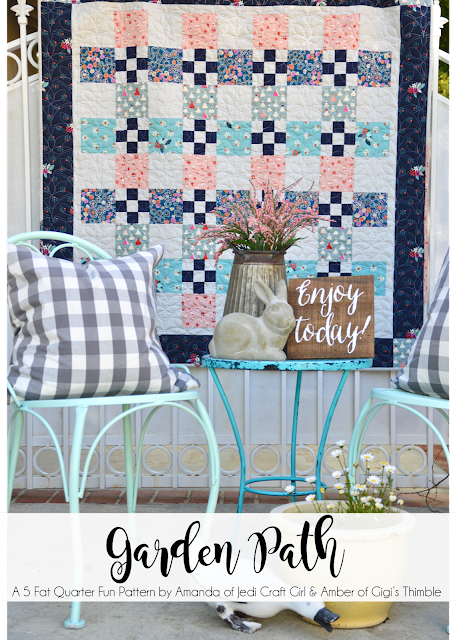 This month's FREE Five Fat Quarter Fun project is called Garden Path and was designed by my partner in crime Amanda of the blog Jedi Craft Girl. 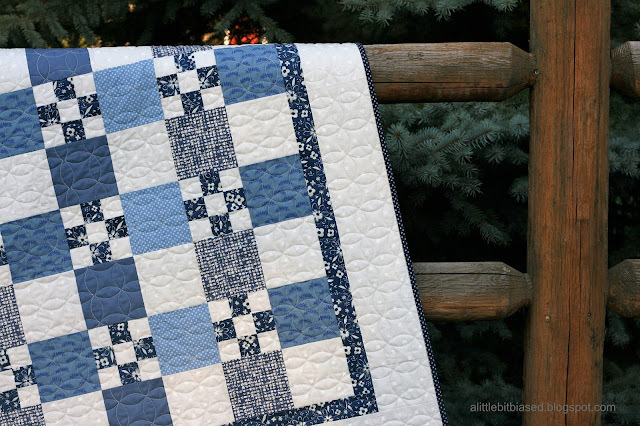 Be sure to stop by her blog to get the PDF pattern and see more pictures of her beautiful quilt! 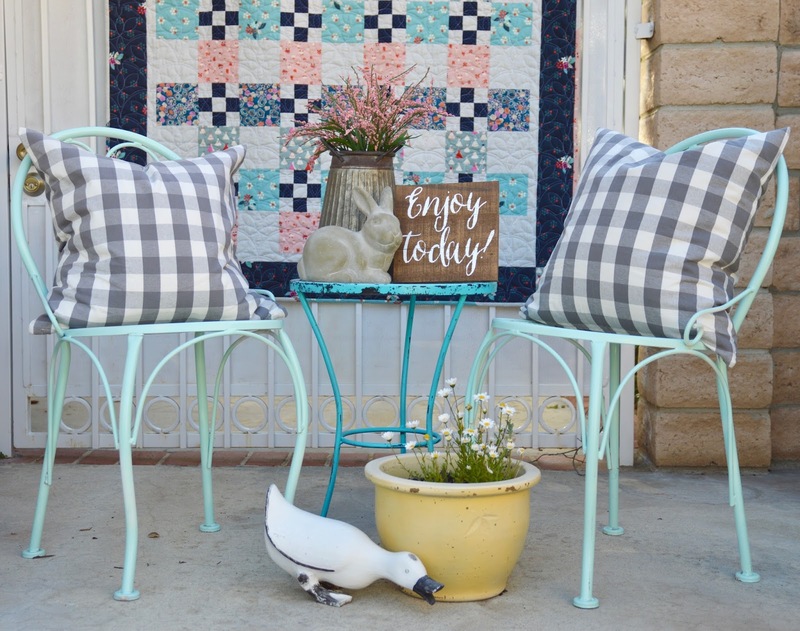 Amanda and I both used Cotton + Steel fabrics donated to us by the Fat Quarter Shop! I love The Fat Quarter Shop. They were so helpful and they shipped my fabrics super quick without any problems! 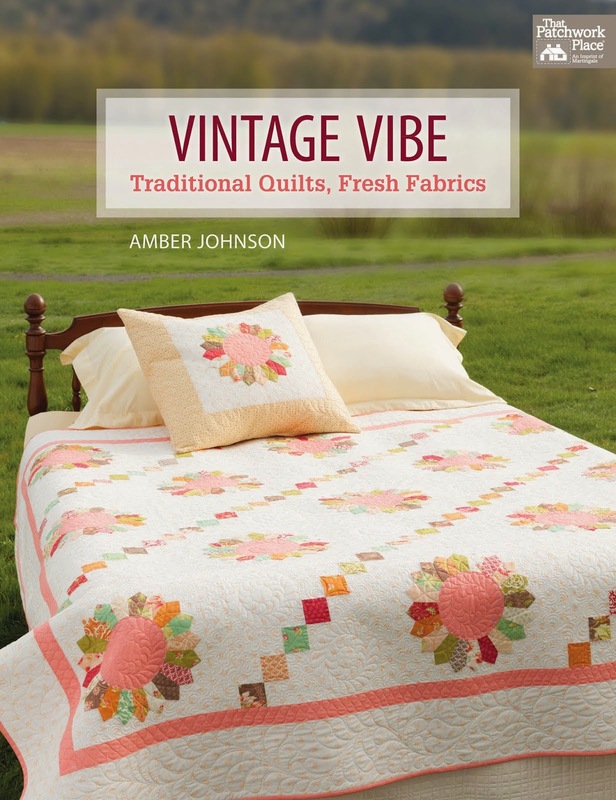 Thank you to the Fat Quarter Shop for sponsoring our pattern this month! I've been on a really "traditional" kick lately and I'm loving classic colors that won't go out of style - like blues and neutrals. Who knew that you could get that feel with Cotton + Steel fabrics? Usually their fabrics are more modern and whimsical (which I LOVE - don't get me wrong!) but I am really happy with the traditional feel of these fabrics. I pulled my fabrics from a few different Cotton + Steel collections including their basics, solids, Bluebird, Flower Shop and the S.S. Bluebird collections. I ordered a few extra fabrics (aside from what The Fat Quarter Shop donated) so that I could have options. 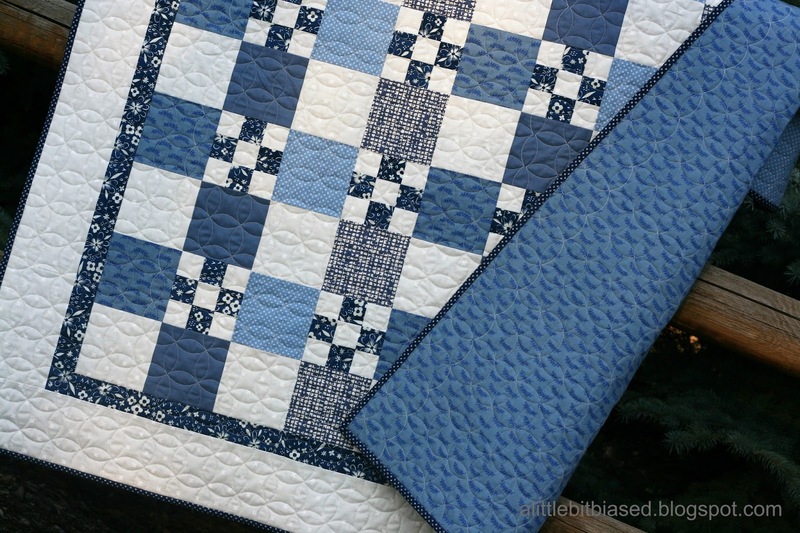 For the quilting, I chose one of my favorite, go-to patterns - the continuous curve! Cathy Barney in Alpine, UT quilted it for me and I love how it turned out! 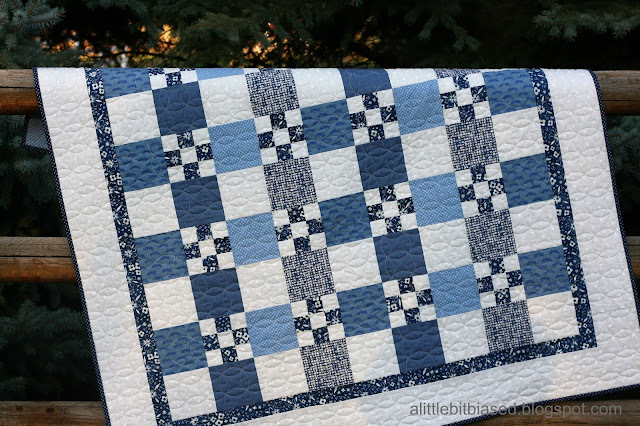 I love this simple quilt pattern too. In fact, I love it so much that I wanted to make it bigger! It's super easy and quick to put together. But, I decided to stick with just the 5 fat quarters this time. I don't do this very often, but I'm tempted to make a second Garden Path quilt (just bigger)!!! Did you notice that my borders and binding are a little different than Amanda's? 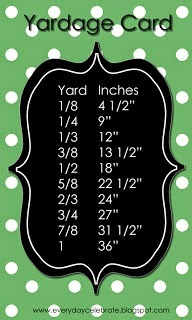 If you're interested in the fabric requirements and alternate border & binding instructions for my version, click HERE. 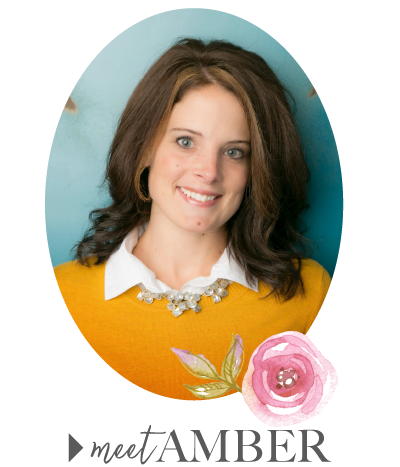 Be sure to stop by Amanda's blog to get the main instructions though, you'll need those too (click HERE). We hope you are enjoying these FREE Five Fat Quarter Fun projects! 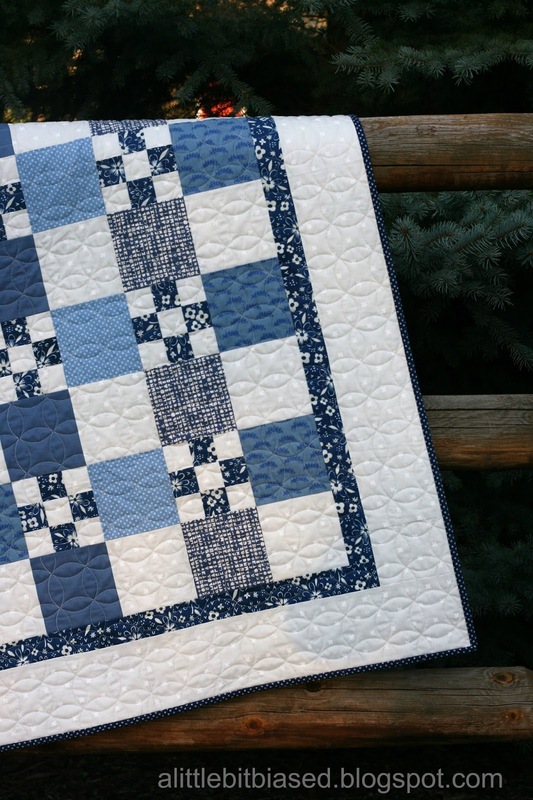 We are loving the challenge they are giving us to make at least one quilt a month. Please let us know if you make any of them. 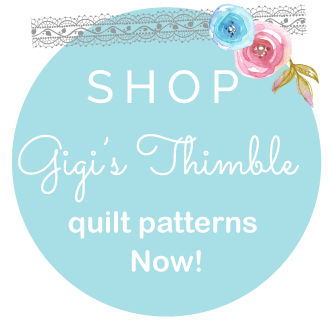 You can tag us on Instagram @jedicraftgirl and @gigis_thimble and be sure to use the hashtags #fivefatquarterfun and #gardenpathquilt.